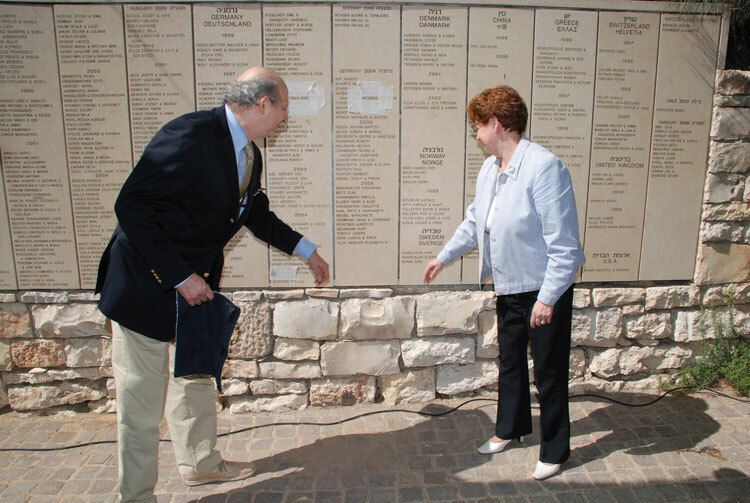 Persons recognized as a "Righteous Among the Nations" are awarded a specially minted medal bearing their name, a certificate of honor, and the privilege of their names being added to the Wall of Honor in the Garden of the Righteous at Yad Vashem in Jerusalem. Read more about the commemorative sites. 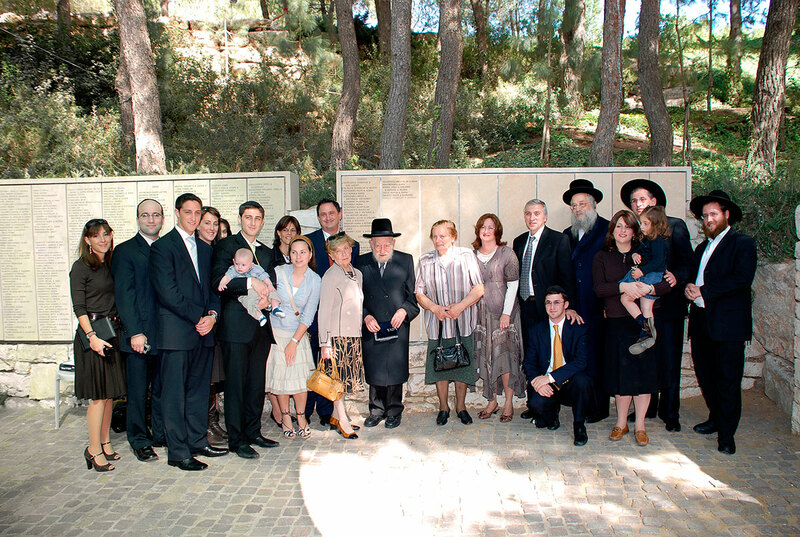 The awards are presented to the rescuers or their next of kin in Israel or in their countries of residence through the good offices of Israel's diplomatic representatives. These ceremonies are attended by local government representatives and are given wide media coverage. 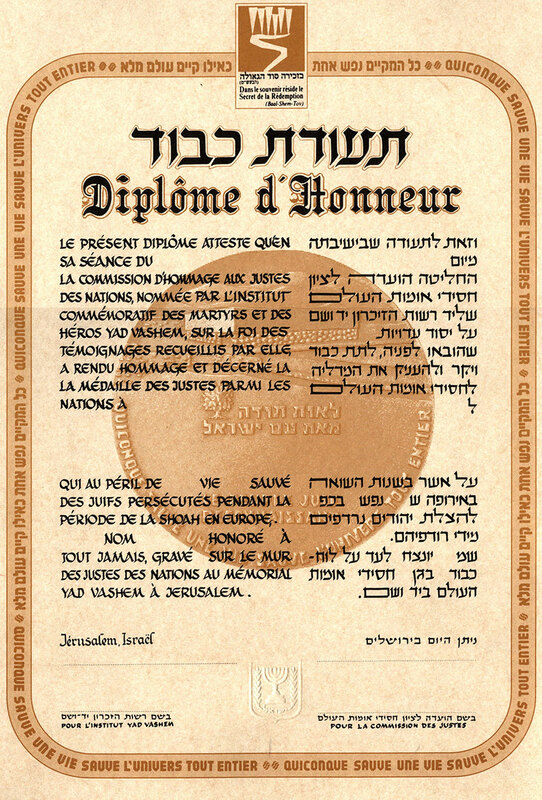 The Yad Vashem Law authorizes Yad Vashem "to confer honorary citizenship of the State of Israel upon the Righteous Among the Nations, and commemorative citizenship if they have passed away, in recognition of their actions." 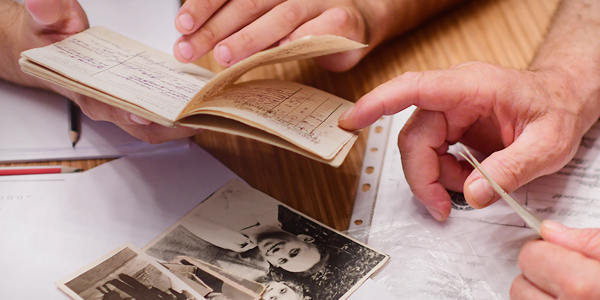 In 2009 Yad Vashem began uploading the database of the Righteous Among the Nations on the internet with information, photos and rescue stories. 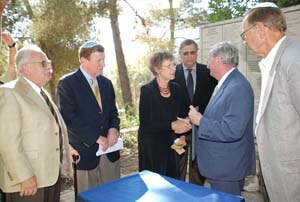 In addition, Yad Vashem published an encyclopedia with the stories of the Righteous recognized by 2005. 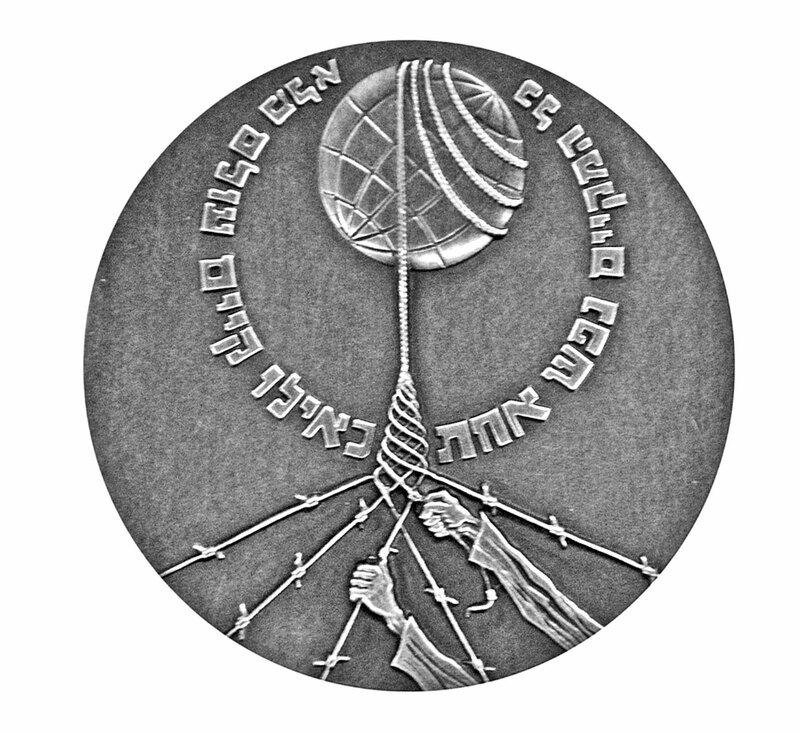 The medal of the Righteous bears the Jewish saying: "Whosoever saves a single life, saves an entire universe" (Mishnah, Sanhedrin 4:5). The full meaning of this saying is demonstrated when survivors' families – with children, grandchildren and nowadays even great-grandchildren – come together for the honoring of a rescuer. Often, they represent a sole surviving branch of an extended family that perished. Two hands clutching a rescue line spun from barbed wire strands. The barbed wire lines emerge from empty space but the rescue line enfolds the globe and serves as a handle by which to rotate it (a symbolic expression of the idea that it's deeds such as performed by the rescuers that make the world go around). The globe is surrounded by the inscription in Hebrew "whoever saves one life, it is as if he saved an entire universe". At the top: Image of the Hall of Remembrance at Yad Vashem. In the center: inscription the Hebrew: "A token of gratitude from the Jewish people". At the bottom: inscription in French: The grateful Jewish people” and the French translation of " whoever saves one life, it is as if he saved an entire universe ". The State emblem and the words "State of Israel" in Hebrew and English. 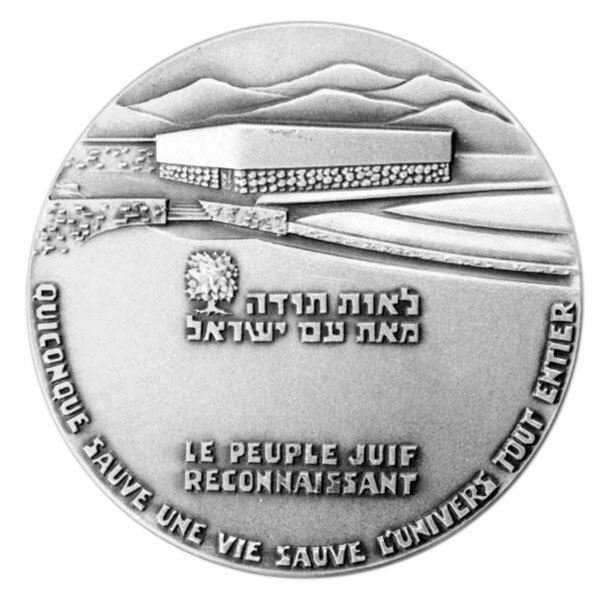 The silver medals bear the word "Silver 935" in Hebrew and in English "Silver" or "Sterling"
Bronze – Kretschmer, 1965, about 50 medals. 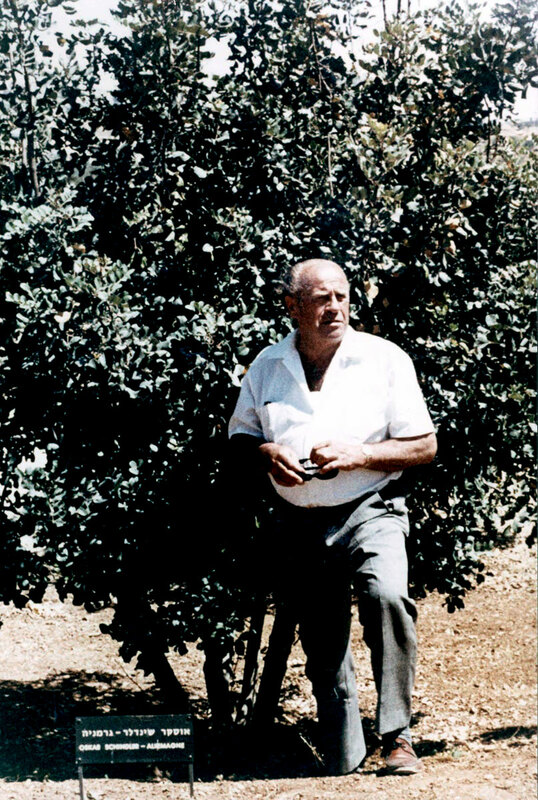 Silver – Kretschmer and Hecht, since 1965. Copper-Nickel – Hecht, since 1980.